Personal Tasks are available to all players. 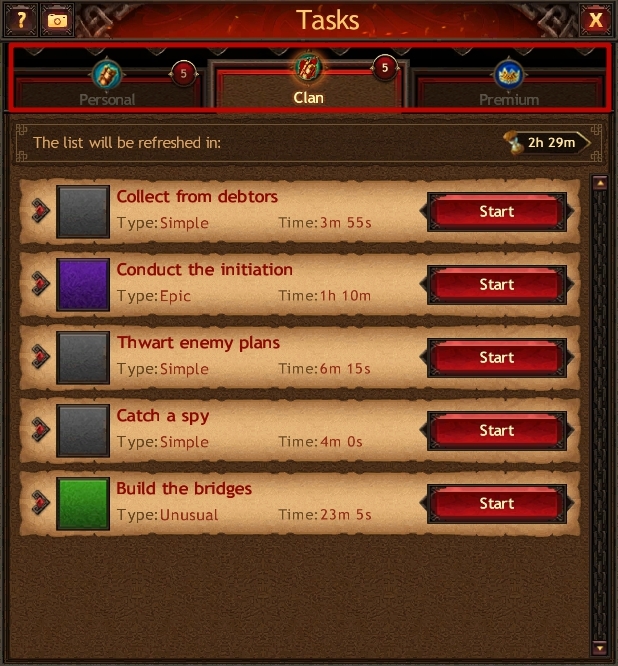 Clan Tasks are available only to Clan members. Premium Tasks are available only to players with activated VIP status. Please note that you can only perform one Task from each category at a time.